This is the successful key to communication between human and dog. Not only is the quadruped highlighted here, but the bipeds' body language is targeted, as well. 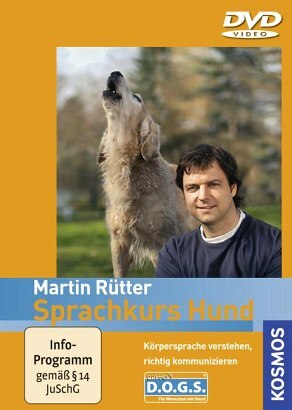 Martin Ruetter manages in his fresh and informal way to raise awareness of your own language, focus you on the dogs' signals and thus hone the communication between human and dog. Of course, there is also a book about the same subject. Martin Ruetter has dealt for many years with the relationship between people and dogs. He trains dog trainers and keepers in his "Center for People With Dog".